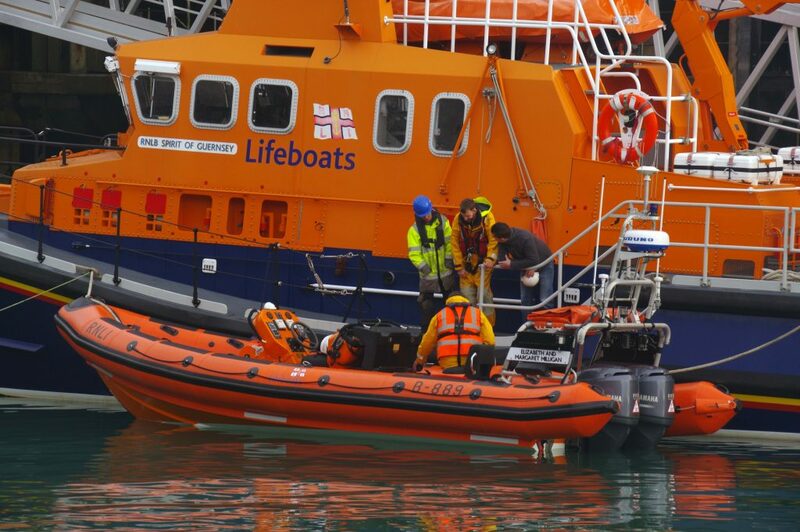 The “Elizabeth and Margaret Milligan”, an RNLI B Class Atlantic 85 Lifeboat arrived in Guernsey this morning and is on trial for two years. Pic by Tony Rive 19-01-19 The RNLI Relief Atlantic 85 Inshore Lifeboat Elizabeth and Margaret Milligan B-889 alongside the St Peter Port All Weather Severn Class Lifeboat Spirit of Guernsey 17-04 after being craned into the harbour. 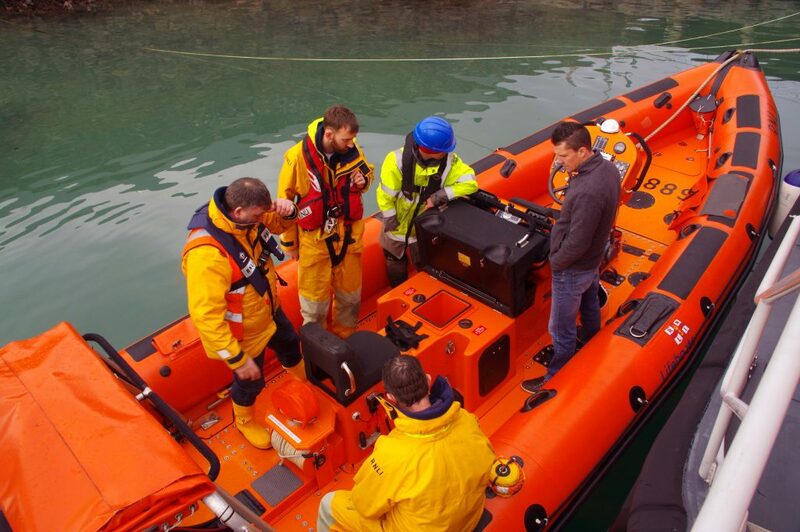 Pic by Tony Rive 19-01-19 Some of the Guernsey Lifeboat Crewman look over the Atlantic 85 Inshore Lifeboat Elizabeth and Margaret Milligan B-889 which they will be using during a two year trial alongside our own All Weather Severn class Lifeboat Spirit of Guernsey 17-04.